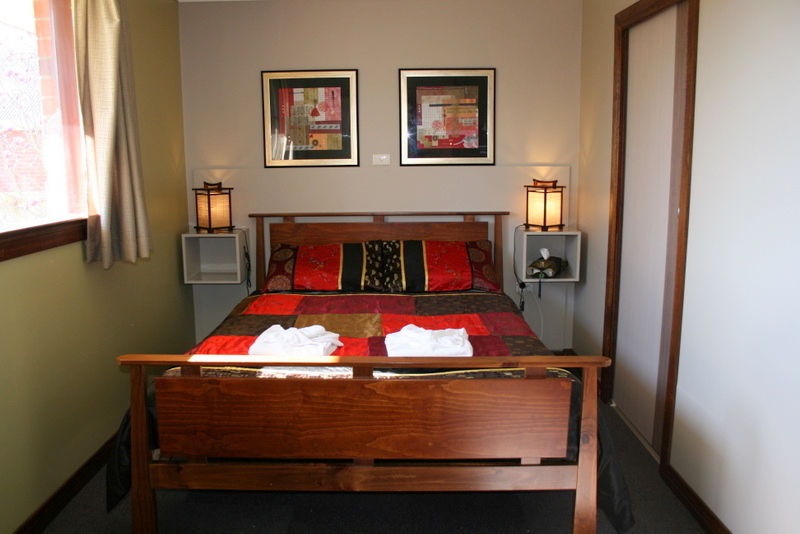 Golden Embers Apartments are located in the prime tourist destination of Wynyard, on the North West Coast of Tasmania and is the perfect base for travelers wanting to explore Tasmania's "Great Nature Trail". We are central to the Tarkine, Dismal Swamp, Stanley and Cradle Mountain. The self-contained apartments are comfortable, clean and cosy. Each suite has its own unique décor theme, set amidst a country garden atmosphere. We offer friendly hospitality at affordable rates - why not indulge yourself! You deserve it! Each of the three spacious suites have been superbly adorned with your comfort in mind. 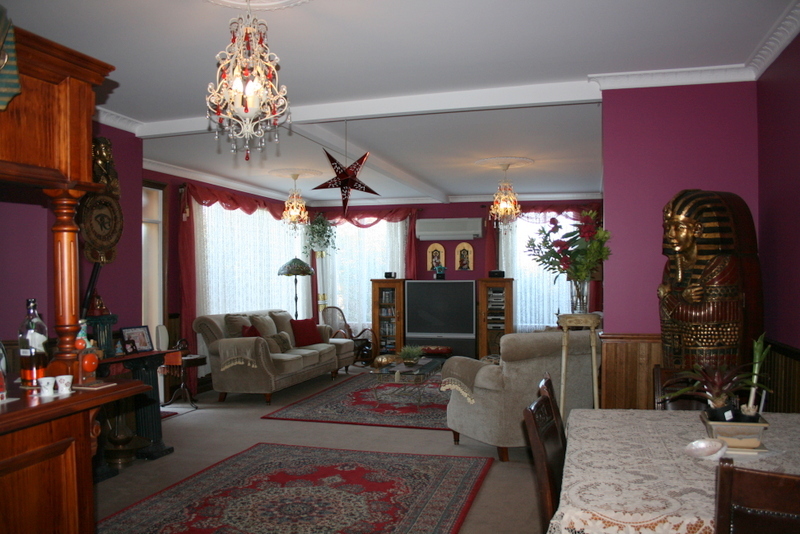 The "Oriental Apartment", The Rose Cottage Garden Suit" and the " Egyptian Apartment". 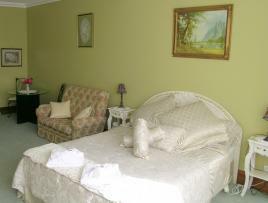 Come; enjoy the beauty and tranquillity of Wynyard, nestled below picturesque Table Cape. Marvel at the sun setting from the top of Table Cape, relax, fish or "Take time to smell the Roses!" and find yourself again. Glorious Tulips abound during spring, why not come for the Tulip Festival in October, or play golf at both of our scenic Golf Courses. Take any one of the many flights leaving Melbourne each day to Tasmania's North West Gateway, the Burnie/Wynyard Airport and even without a tail wind, you can be at our front door just 60 minutes later, starting your very own magic break away from it all because you will have landed in the very spot where 'Green meets Blue' and clean air is natural. So, reward yourselves, it is time, you earned the break ! Now, come in and read more about our unique location see our rooms and rates and book your accommodation. Welcome to the Historic Home of Golden Embers, Circa 1910, AAA 3.5 Star rated, where you can enjoy approx.300sqm of old world charm with modern comfort, on your special occasion, Honeymoon,or a getaway with friends or family. The property is exclusively yours for up to 6 guests including Full English Breakfast provisions & Free Wifi. You are only a few minutes drive from the beach, town, local activities & Burnie/Wynyard Airport as well as most North West Tasmanian attractions. A huge luxurious formal lounge & dining room have to be seen to be believed!! As well as a spacious kitchen with modern appliances, granite bench tops, leading to the outdoor BBQ entertaining area and private gardens. The tranquil sunroom overlooks the front garden, where you can sit and watch the world go by while relaxing, or escape to the cosy Formal wood panelled library for some quiet reflection on your days' travels.... or, why not sit by the bay window and read from a selection of 100's of books or magazines. Sit in the garden and let time pass by while you replenish your soul..... The possibilities are endless!! 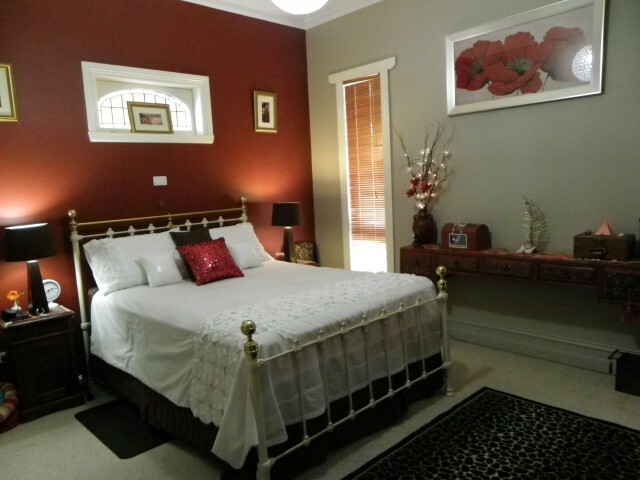 As a New & Unique Experience, we are now offering our valued guests, the opportunity to stay in the Grand Historic Home of "Golden Embers" (Circa1910)built for the prominent "Arnold Blackwell" family of Wynyard. The "Golden Embers" home accommodates from 1 to 6 persons in great comfort & style & you have the whole (approx 33 square) renovated unique home all to yourselves. Share the experience with friends or treat yourself... Brows our photos.... YOU WILL BE AMAZED!!! "Golden Embers" consists of 3 luxurious bedbooms (2 with en suite),TV's in all guest bedrooms & Sumptuous English Breakfast Provisions for you to enjoy at your leisure. A huge luxurious formal lounge & dining room, which have to be seen to be believed!! This has real WOW FACTOR!!! As well as a spacious kitchen with modern appliances, granite bench tops, leading to the outdoor BBQ entertaining area and private gardens. The tranquil sunroom overlooks the front garden, where you can sit and watch the world go by while relaxing, or escape to the cosy formal wood panelled library for some quiet reflection on your days' travels.... or, why not sit by the bay window and read from a selection of 100's of books or magazines. Sit in the garden and let time pass by while you replenish your soul..... The possibilities are endless!! “The Oriental Apartment” at Golden Embers, has been decorated in with eclectic Oriental elegance, providing a peaceful & harmonious atmosphere, for you to relax & enjoy your getaway. The Apartment has been recently renovated, having a reverse cycle air conditioner to warm or cool you, as the season requires. LCD TV and DVD with all the free to air channels as well as an extensive DVD Library so you can relax before your next day’s activities. The separate bedroom has a comfortable queen bed with electric blanket for those chilly nights, with a stylish and modern en-suite off to the side. The complete kitchen has a modern stove & microwave and is fully self-contained. There is also a microwave as well as tea coffee making facilities and the bedroom of “The Oriental Apartment”, overlooks part of the Gardens. You also have your own private entry and off the street parking. Books & magazines are also provided for your enjoyment. Spacious One Bedroom Guest Room Suite has a comfortable Queen Bed with electric blanket for those chilly nights, with a stylish and modern en-suite off to the side. Our Valued Guests have Off Road Parking.Suite is newly renovated & supplied with LED TV with all the free to air channels available. All Suites are provided with Tea/Coffee making facilities, Microwaves and Toaster.For your convenience the room has it's own private entry. “The Oriental Apartment” at Golden Embers, has been decorated in with e Oriental elegance, providing a peaceful & harmonious atmosphere, for you to relax & enjoy your getaway. The Apartment has been recently renovated, having a reverse cycle air conditioner to warm or cool you, as the season requires. LED TV and DVD with all the free to air channels as well as an extensive DVD Library so you can relax before your next day’s activities. The separate bedroom has a comfortable queen bed with electric blanket for those chilly nights, with a stylish and modern en-suite off to the side. The complete kitchen has a modern stove & microwave and is fully self-contained. There is also a microwave as well as tea coffee making facilities and the bedroom of “The Oriental Apartment”, overlooks part of the Gardens. You also have your own private entry and off the street parking. Books & magazines are also provided for your enjoyment.